This is a 4 can set of interior dye for car's interior cabin.. Dye is produced by SEM which is an excellent product and the only dye we use here both on our toys, and that of our clients. You will have your choice of any of the colors shown and SEM makes a dye the correct color for your GM car.SEM dyes offer both durability and also the correct low luster shine. It is the only product we use here on our cars and the cars of our clients. When you consider we re-dye roughly 2500 parts per year you begin to understand the quality and correctness of the product! You can restore your interior to stock, or go custom! Please note dye can NOT ship air mail or UPS / DHL. it is shipped only USPS surface priority mail. Shipping times range from 3-12 days. Can NOT ship outside the continental United States!!! Printed instructions along with online directions as well. 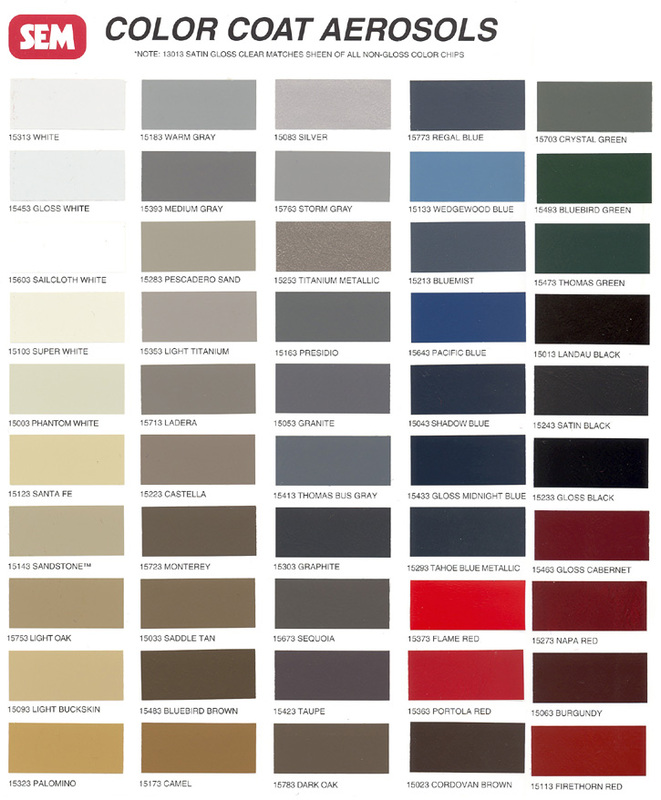 Redying items is a easy process and the single best way to return your car to like new showroom color appearance! Do at home what a restoration shop would charge well over $1k to do!